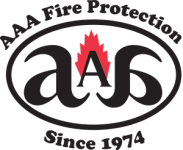 AAA Fire Protection Services is your Milpitas Fire Sprinklers expert. We have been providing Milpitas businesses and businesses throughout the Bay Area with comprehensive fire protection and fire suppression services since 1974. Our team brings 40+ years of service to every customer with whom we work. We provide comprehensive fire protection services, including fire sprinkler insulation and fire sprinkler inspections. Our fire sprinkler services begin with the creation of a detailed and comprehensive fire sprinkler installation plan. We look at the unique requirements of your business and we work seamlessly with your architect or design firm to create a unique fire sprinkler system that provides maximum coverage for fire suppression. Our fire sprinkler installation service is complemented by routine fire sprinklers inspections that also includes fire sprinkler repairs when needed. At AAA Fire Protection Services, we understand the threat of fire. We also understand that fire sprinklers are one of the highest and most efficient ways to control a fire once it breaks out and also to limit the damage the fire can do. For more information about how to decrease your fire risk, just give us a call at (800) 543-5556. Our professional team is happy to provide information and to answer your questions or to meet with you to go over your building specific fire compliance needs.